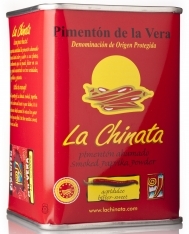 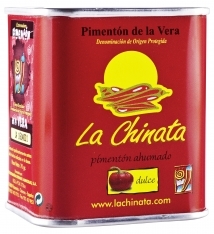 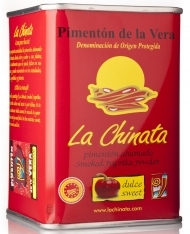 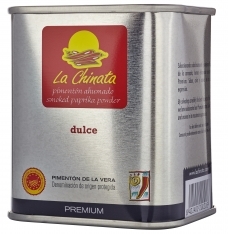 This paprika gift set from La Chinata contains the following 4 items: a 70g can of sweet and sour smoked paprika, a 70g can of spicy smoked paprika, a 70g can of sweet smoked paprika, and a 25g box of smoked peppers. 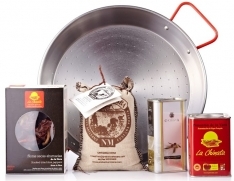 This gift set is an ideal purchase for anyone wishing to explore paprika for the first time as it contains everything you need to embark on your culinary journey! 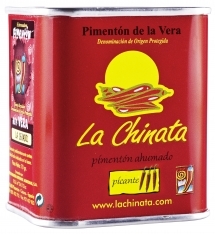 In Spanish, this is known as Lote regalo Pimentón La Chinata.